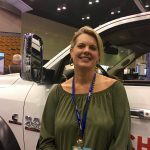 We don’t take it for granted when hardworking, well-informed professionals go with Ram Trucks as their work vehicles of choice. 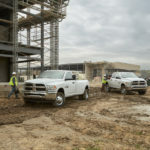 The fact that someone would choose a Ram 2500, Ram 4500 or Ram ProMaster® over a competitor’s vehicle is evidence to us that we’re doing something right as a manufacturer of pickup trucks, chassis cabs and cargo vans. The same can be said about owner testimonials. 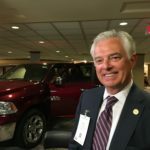 That a business owner would go on record and on video to speak in glowing terms about Ram Brand vehicles is perhaps the highest compliment a truck manufacturer could get, short of repeat business, that is. In any case, we’re proud to present the testimonials in Part 3 of this series. As in Part 1 and Part 2, the videos here were filmed on location at the National Association of Home Builders (NAHB) mid-year meetings in Washington, D.C. Please enjoy. 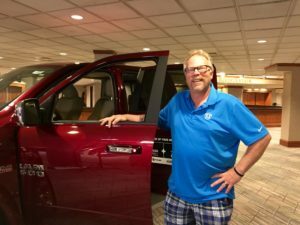 Description: Business owner Ken Callahan says his current Ram truck is the “best truck we’ve ever owned,” pointing to all the extra room as one reason among many that it’s the right truck for him. Hey, who are we to argue? 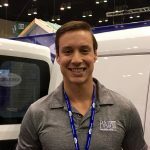 Description: Michael Chambers has 458,000 reasons to consider buying a new Ram vehicle – that’s the number of miles he put on a Ram work van back in the early 1980s. 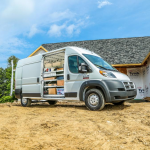 Visit a BusinessLink dealer near you to learn more about the capable work vehicles from FCA US LLC.